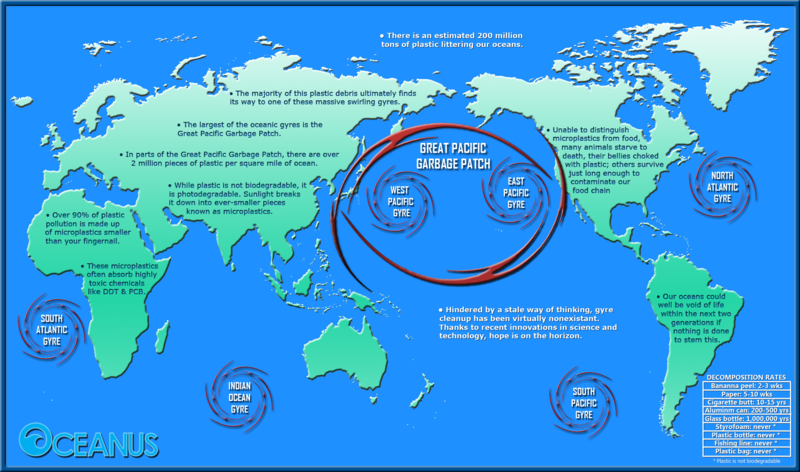 The Great Pacific Garbage Patch stretches across a swath of the North Pacific Ocean, forming a nebulous, floating junk yard on the high seas. It’s the poster child for a worldwide problem: plastic that begins in human hands yet ends up in the ocean, often inside animals’ stomachs or around their necks. 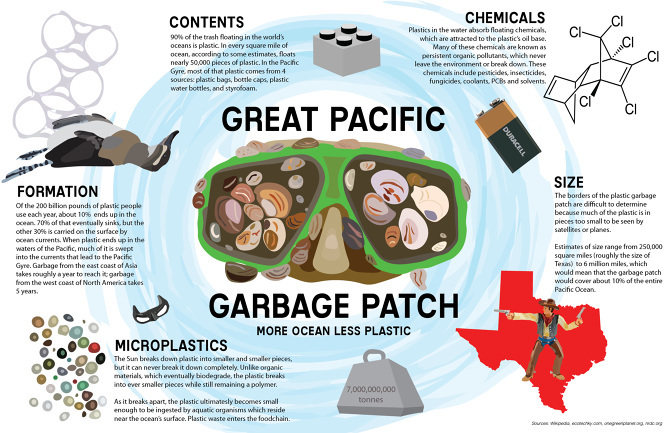 The best way of visualizing The great Pacific Garbage Patch is to imagine a big soup floating in the ocean like oil does. Areas that contain the largest numbers of plastic are the ocean gyres. These are large systems of moving ocean currents. In a systematic drawing you would see that the water is circulating like a vortex. All garbage automatically goes to the middle and stays floating there.